This year, the generation gap between newer rappers and the OG's has been as evident as ever. Much of it has to do with the fact that lyricism has been "diluted" and mumble rap has spiked in popularity. What actually upsets many traditional rap fans is the lack of respect that the younger kids have towards those who paved the way for them. However, it just seems as if some of the newer cats just haven't done there homework or are just into what's poppin' now. Case in point: YBN Almighty Jay. 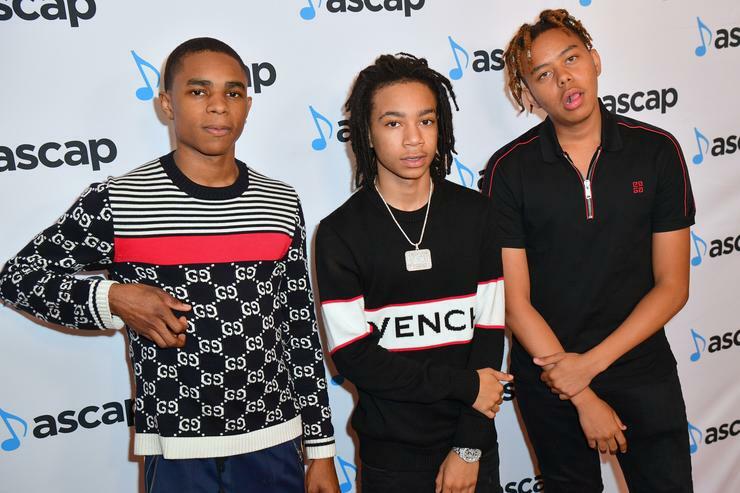 YBN Almighty Jay, YBN Nahmir and YBN Cordae sat down with Peter Rosenberg on Complex's "Open Late" show. During the segment, Rosenberg asked them which artists they studied. Nahmir cited Eazy-E as one person that he studied, Cordae revealed that he's a big fan of Jedi Mind Tricks, but Jay admitted that he only listens to "generational music." "I ain't gonna lie, I never went that far back. I listen to generational music," he said. "If it's in right now, that's what I listen to. It might be weird and stuff, people be like, 'You don't know the history of rap and you're a rapper,' but like I don't go back that far to listen to music." Jay then revealed that Lil Wayne is the oldest rapper he listens to. However, the most interesting part of the interview is when Rosenberg asked Jay whether he knows who Wu-Tang Clan is. "No disrespect, I don't know who they is," he said. "I don't know none of they songs. I don't even know what they look like." Peep the interview below with the YBN crews interview starting at the 10:42 mark.